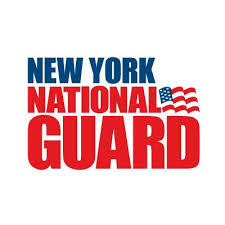 LATHAM, N.Y. -- Major General Ray Shields, the Adjutant General for the State of New York, announces the promotion of members of the New York Army National Guard in recognition of their capability for additional responsibility and leadership. Gerald Bucino from Buffalo, N.Y. and assigned to the 105th Military Police Company received a promotion to the rank of Specialist. Kyle Roy from Alden, N.Y. and assigned to the 105th Military Police Company received a promotion to the rank of Private First Class. Dennis Hamrick from Cheektowaga, N.Y. and assigned to the 27th Infantry Brigade Combat Team received a promotion to the rank of Sergeant First Class. Brittany Ruso from Allegany, N.Y. and assigned to the Company A, 642nd Support Battalion received a promotion to the rank of Staff Sergeant. Brittany Appleberry from Rochester, N.Y. and assigned to the Company A (Distribution), 427th Brigade Support Battalion received a promotion to the rank of Specialist. Douglas Asare from Rochester, N.Y. and assigned to the Company A (Distribution), 427th Brigade Support Battalion received a promotion to the rank of Specialist. Kyle Besley from Buffalo, N.Y. and assigned to the Company C (Medical), 427th Brigade Support Battalion received a promotion to the rank of Staff Sergeant. Kevin Czachorowski from Byron, N.Y. and assigned to the Company D, 3-142nd Aviation received a promotion to the rank of Sergeant First Class. Michael Bykowicz from Derby, N.Y. and assigned to the 827th Engineer Company received a promotion to the rank of Staff Sergeant. Christopher Torres from Brockport, N.Y. and assigned to the 827th Engineer Company received a promotion to the rank of Sergeant. Dustin Frederick from Olean, N.Y. and assigned to the Company A, 642nd Support Battalion received a promotion to the rank of Private. Brian Tenace from Henrietta, N.Y. and assigned to the Company B, 3-126th Aviation received a promotion to the rank of Sergeant First Class. Michael Defreze from Batavia, N.Y. and assigned to the Division Signal Company, 42nd Infantry Division received a promotion to the rank of Chief Warrant Officer 3. Kevin Grazioplene from Oakfield, N.Y. and assigned to the Company D, Military Intelligence, 152nd Brigade Engineer Battalion received a promotion to the rank of Second Lieutenant. Richard Stewart from Batavia, N.Y. and assigned to the Forward Support Company, 204th Engineer Battalion received a promotion to the rank of Chief Warrant Officer 3. Sonya Rooney from Spencerport, N.Y. and assigned to the Headquarters and Headquarters Company, 102nd Military Police Battalion received a promotion to the rank of Specialist. Ryne McCarthy from Buffalo, N.Y. and assigned to the Headquarters and Headquarters Troop, 2-101 Cavalry (Reconnaissance, Surveillance and Target Acquisition)) received a promotion to the rank of Specialist. Susan Singer from Leroy, N.Y. and assigned to the Headquarters and Service Company, 642nd Support Battalion received a promotion to the rank of Staff Sergeant. Jacob Welsted from Lake View, N.Y. and assigned to the Military Intelligence Company D, 152nd Brigade Engineer Battalion) received a promotion to the rank of Sergeant First Class. Adam Moran from Delevan, N.Y. and assigned to the B Troop, 2-101 Cavalry (Reconnaissance, Surveillance and Target Acquisition) received a promotion to the rank of Private. Christian Leenhouts from Lewiston, N.Y. and assigned to the C Troop, 2-101 Cavalry (Reconnaissance, Surveillance and Target Acquisition) received a promotion to the rank of Specialist. Justin Williams from Cheektowaga, N.Y. and assigned to the C Troop, 2-101 Cavalry (Reconnaissance, Surveillance and Target Acquisition) received a promotion to the rank of Private First Class.